Veteran TV reporter Charlotte McNally fights for justice, journalism -- and the battle against on-air aging. She knows that despite years of experience, she's only as good as her most recent blockbuster story. The good news: she's got explosive evidence that could free an innocent woman from prison. Dorinda Keller confessed to killing her husband, but the evidence doesn't add up. Why would an innocent person confess to cold-blooded murder? The bad news: her investigation makes Charlotte -- and someone she loves -- the real killer's next target. Charlotte knows she has what it takes to get the story. Unfortunately, the more Charlotte snoops around, the more people turn up dead. 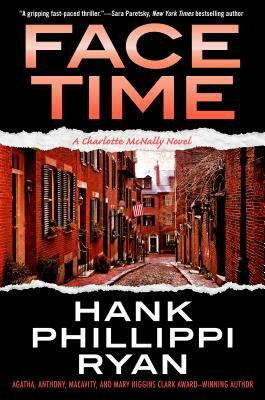 Face Time by Boston Globe bestseller and Emmy-winning reporter Hank Phillippi Ryan is the second book in the award-winning, out-of-print Charlotte McNally series, now repackaged for her many new fans!